Hello, how ya guys doing today? Did you guys enjoy your Miku day this year? 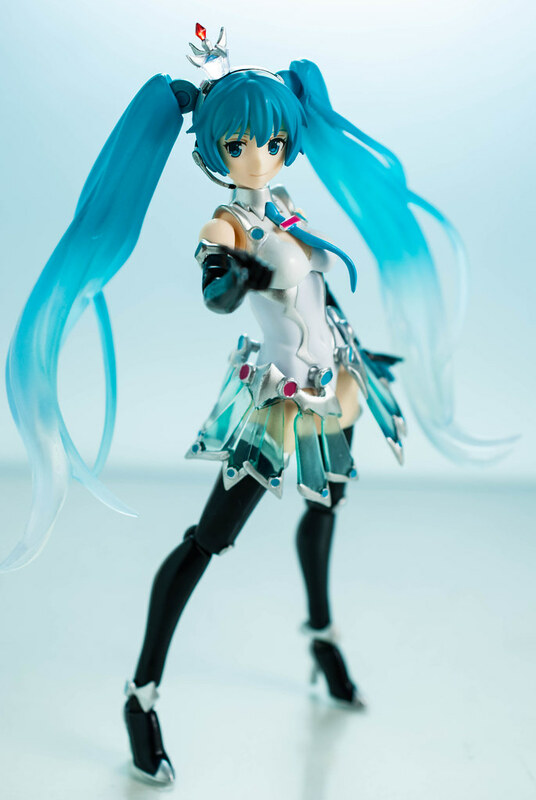 Since I just so happened to have a free day and was taking figure pictures already, I just decided to snap some pictures of the super lovely 2013 Racing Miku. 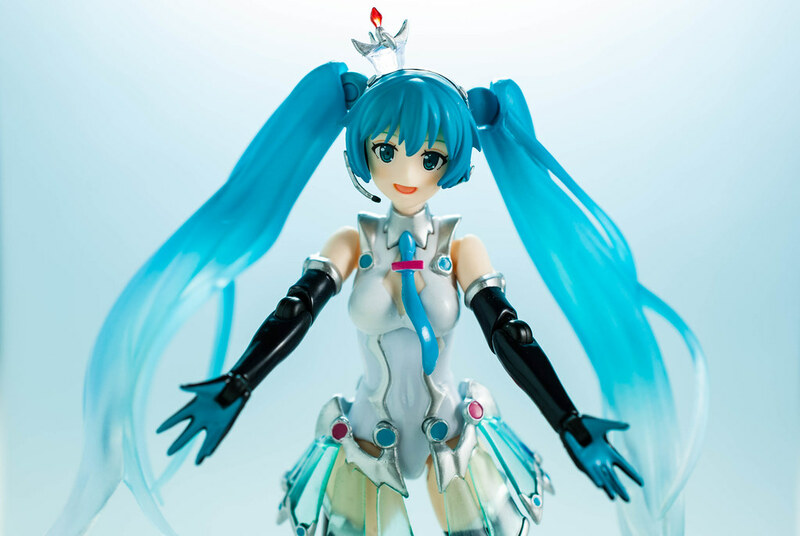 To be honest I'm not really that much into Miku like some people. I like the occasional Vocaloid song whether from Miku herself or the other members of the Vocaloid family. 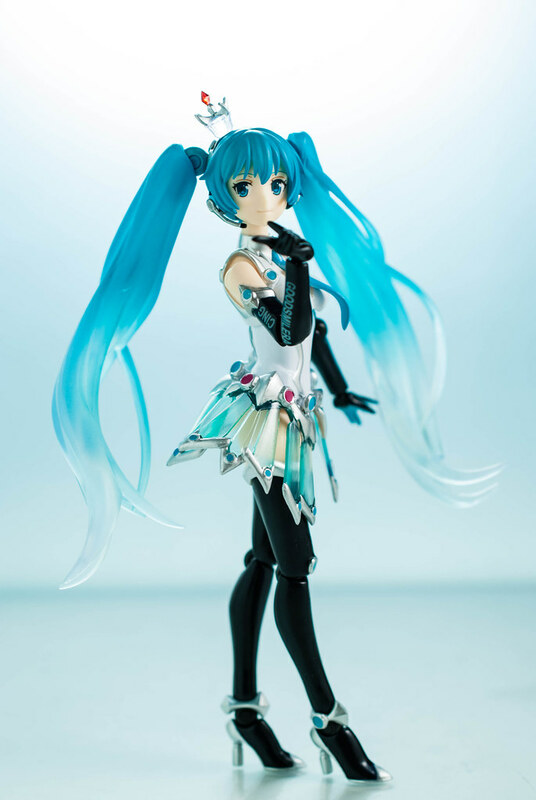 Same thing for the figures, I'm the type of person that rolls their eyes at the umpteenth recolor of nendo Miku rather than squeal in delight. 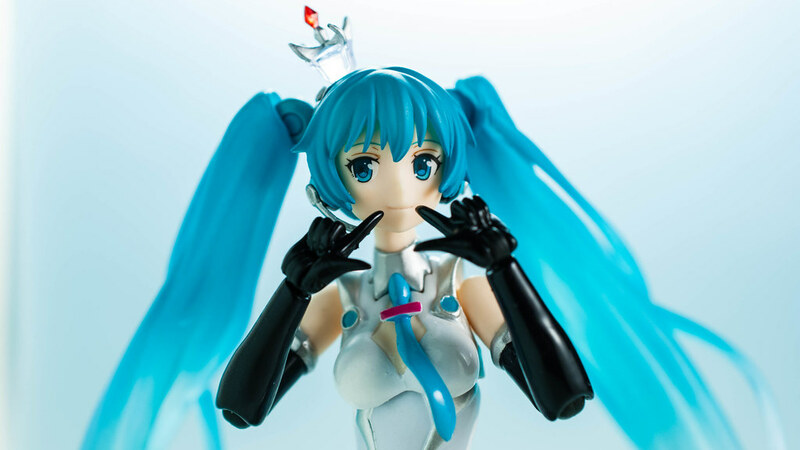 However, every once in while you get a variety of creators doing interesting things with Miku. They give a unique spin to Miku with their designs, case in point this version of Racing Miku by Shimazaki Mari. This is when I nod my head and feel grateful that Miku's enduring popularity gives way to such an interesting and varied outlet for people's creativity. While I'm not a super fan I'm glad I can take easy and enjoy the silly Miku stuff like Miku day every now and then. Hope you had a fun Miku day too!